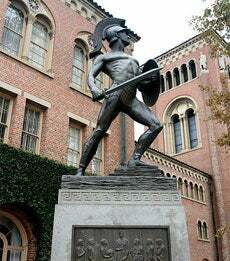 Located in the heart of Los Angeles, the University of Southern California is the oldest private research university in the West. 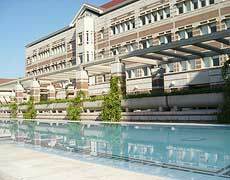 The school boasts of being a global center for arts, technology and international trade. There is no credit card marketing on the USC campus. Chapter 1.3 of the California Education Code, Sections 99030, also known as the Student Financial Responsibility Act, stipulates that gifts should not be offered in tandem with credit card applications and that sites should be limited as to where credit cards may be marketed. The law also encourages debt education and counseling to be a part of orientation for incoming students. "We would not allow credit card companies to come onto our campus to solicit to students," says Patrick Bailey, associate dean and director of student life and involvement. "The university has an agreement with a credit card company that if they so choose, could come to campus, but to my knowledge, they have not chosen to do so." "I would definitely ask my parents to co-sign if I applied for a card anyway. It just seems like the smart thing to do... Both of my parents went into some credit card debt in their 20s, and they've spent a lot of time rebuilding their credit score, so I think they're pretty stable now." "It seems pretty dumb of people to think a credit card is free money, but some people get themselves into that situation. The stories I've heard of $1,200 in shoes or vacations to Hawaii are scary." "It doesn't make sense to have a credit card without a steady income. I mean, how do you ever plan to pay it off?" "My parents encourage me to use the credit card because we're on a plan where we can earn money back by using the card. If I didn't have it, I would have to budget a lot differently. I would eat out much less often."